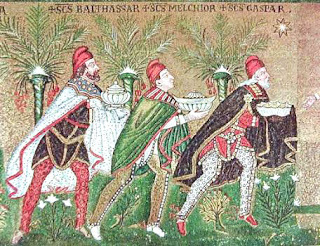 Who, what, where, and when did the Magi come to Bethlehem? from whence were the three magi who came to adore Christ in Bethlehem, and the three are buried in that city in a fair sepulchre, and they are all three entire with their beards and hair. This is given as the reason [that the inhabitants worship fire]. Anciently three kings of that country went to adore a certain king who was newly born, and carried with them three offerings, namely, gold, frankincense, and myrrh: gold, that they might know if he were an earthly king; frankincense, that they might know if he were God; and myrrh, that they might know if he were a mortal man. [I assume that the infant took all three, but the story doesn't actually say that]. When the [three kings] went away the infant gave them a closed box, which they carried with them for several days, and then becoming curious to see what he had given them, they opened the box and found in it a stone. Thinking themselves deluded, they threw the stone into a pit, and instantly fire burst forth in the pit. When they saw this, they repented bitterly of what they had done, and taking some of the fire with them they carried it home. And having placed it in one of their churches, they keep it continually burning, and adore that fire as a god and make all their sacrifices with it. This is a wonderful example of how religions borrow from one another -- even in Persia, as it was then, under the rule of orthodox Islam. And the story spreads right back to the Christians: on the left, the Church of St Mary in Urmia, Iran, built above the mausoleum of one of the supposed Magi. In the Gospels, of course, it's never said that the Magi are of Persian origin. They are mentioned only in Matthew 2 1-12, where it says: "After Jesus had been born at Bethlehem in Judaea during the reign of King Herod, some wise men came to Jerusalem from the east."). There is nothing about their coming from Persia, nor being kings, nor even how many men made the trip. Nonetheless, the belief in the early church was that the Magi were Persians. There is even an Apocryphal Arabic Gospel of the Infancy which appears to state that they were indeed Persian magi. It was in Europe that the current image of three kings was created (one gift = one king). To further dramatize the coming of the Nations to Christ, one King was made into a black African, another an Oriental or an Arab, and the other a European. 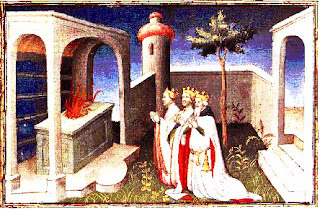 Their names were no longer Persian, but Orientalizing: Caspar, Melchior, and Balthazar. The two traditions come together in the 6th C mosaic (above, left) from the Basilica of San Vitale in Ravenna, with Caspar, Melchior, and Balthazar all in Persian garb. The Star of Bethlehem Solved? The Star of Bethlehem has always seem to be a non-problem to me. If you believe that a god was born to a virgin, then asking what the star was seems pointless. Why shouldn’t it be just another miracle? Similarly if you think the story is fictional then why does there need to be a star? Why couldn’t that be fiction too? Another reason to be wary of Stars of Bethlehem is that they are, by and large, unimpressive from a historian’s point of view. We don’t have a date of birth for Jesus, so there’s an element of guesswork. Nonetheless whatever date you pick, there’s always something around which you can choose for a star. This is especially true if you ignore the text. The description of the star in Matthew 2 is very brief. It simply describes a star which moves around. This could be a planet or a comet, and planets were mundane. Popular explanations tend to be conjunctions, but these were well known and would not be described as stars, nor necessarily associated with kingship. If you can ignore the text’s description of the star, then why not save time and ignore the star altogether? As he says, however, "people don't like this answer". Luckily, there is now a new, quite serious theory, just in time for Christmas 2007. 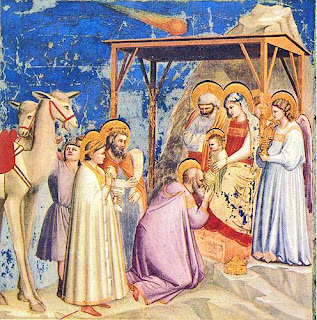 It will take some getting used to: Rod Jenkins on the Star of Bethlehem and the Comet of AD 66. Yes, you read that right: 66 AD! The important thing is not the date of the events Matthew describes but the date when he was writing his Gospel. For all sorts of reasons, that must have been some time between 70 and 100 AD, that is, at least two generations after the Nativity, most likely between 85-90 AD. So Matthew was neither a witness to the birth of Jesus nor could he have spoken to anyone who was alive at that time. And that means, as always, that he is not so much a reporter for the New York Times as a spiritual adviser to the Pope. Or rather to the Jews. Himself a Jewish-Christian, he set out to convince other Jews that Jesus was the Messiah, with the events surrounding his birth having amply fulfilled the Old Testament prophecy: this said that there would be a star so there had to be a star. Or, as one scholar put it, ‘no star, no Messiah’. In AD 66, Halley’s Comet shone brightly over Jerusalem. With perfect hindsight, it was said to have announced the destruction of the temple in AD 70. According to the Jewish historian Flavius Josephus, "Amongst the warnings, a comet, of the kind called Xiphias, because their tails appear to represent the blade of a sword, was seen above the city." − When it first appeared it rose in the eastern sky just before dawn (Star in the east, seen at its rising). − When it was at its brightest, it was visible throughout most of the hours of darkness. − It moved in a westerly direction – each night it was further west with respect to the background stars (Indicates the direction towards Jerusalem for people in the east). − Towards the end of its visibility, it was nearly stationary – it stopped moving towards the west (Stopped and stood over). During this period it could be seen high in the southern sky in the evening (Direction of Bethlehem from Jerusalem). However it was now dimming rapidly (Magi had found the child). So Halley's comet in 66 AD is a good candidate for the messianic 'star' and it was certainly a spectacular sight in the sky that Matthew himself might well have witnessed. That's the easy part, once you accept 66 AD. The Magian Tiridates [king of Armenia] was at Nero's court, having repaired thither, in token of our triumph over Armenia, accompanied by a train which cost dear to the provinces through which it passed. For the fact was, that he was unwilling to travel by water, it being a maxim with the adepts in this art that it is improper to spit into the sea or to profane that element by any other of the evacuations that are inseparable from the infirmities of human nature. He brought with him, too, several other Magi, and went so far as to initiate the emperor in the ... craft. Tiridates presented himself in Rome, bringing with him not only his own sons but also those of [other Parthian princes]. Their progress all the way from the Euphrates was like a triumphal procession. Tiridates himself was at the height of his reputation by reason of his age, beauty, family, and intelligence; and his whole retinue of servants together with all his royal paraphernalia accompanied him. Three thousand Parthian horsemen and numerous Romans besides followed in his train.... The prince covered the whole distance to the confines of Italy on horseback, and beside him rode his wife, wearing a golden helmet in place of a veil. ...Nero took him up to Rome and set the diadem upon his head. The entire city had been decorated with lights and garlands, and great crowds of people were to be seen everywhere, the Forum, however, being especially full. The centre was occupied by civilians, arranged according to rank, clad in white and carrying laurel branches; everywhere else were the soldiers, arrayed in shining armour, their weapons and standards flashing like the lightning.... Then, silence having been proclaimed, Tiridates made himself subservient to the occasion.... These were his words: "Master, I am the descendant of Arsaces, brother of the [Parthian] kings Vologaesus and Pacorus, and thy slave. And I have come to thee, my god, to worship thee as I do Mithras. The destiny thou spinnest for me shall be mine; for thou art my Fortune and my Fate." Nero replied to him as follows: "Well hast thou done to come hither in person, that meeting me face to face thou mightest enjoy my grace. For what neither thy father left thee nor thy brothers gave and preserved for thee, this do I grant thee. King of Armenia I now declare thee, that both thou and they may understand that I have power to take away kingdoms and to bestow them." His visit to Rome ended, Tiridates "...did not return by the route that he had followed in coming — through Illyricum and north of the Ionian Sea — but instead he sailed from Brundisium to Dyrrachium. He viewed also the cities of Asia, which served to increase his amazement at the strength and beauty of the Roman empire." 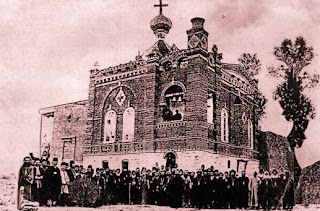 It was on his return journey, Jenkins surmises, that "The procession may have passed close to the Greek speaking Jewish/Christian communities of northern and northeastern Syria where it is believed the gospel originated, as Armenia lies to the north east of this area." Q. E. D. -- or Not? Clioaudio concludes, "I simply can’t recall a Star of Bethlehem article seriously thinking about the Magi before. I still think the star is fictional, but this explains why it’s a fictional comet rather than a fictional nova or conjunction." 1. Matthew clearly speaks of a 'star' (aster), not a comet. The ancients were very well aware of the difference. He could hardly have confused them. 2. Comets bring evil tidings, not good news. They warn of the death of kings (or cities, such as Jerusalem!) not births, nor anything of gladness and joy. 3. Jenkins may have confused Roman 'Asia' with Coele-Syria. Asia was the name for a province that covered most of Anatolia (still called Asia Minor; that is, modern Turkey). The Armenian king's travels back home would have taken him from Dyrrachium on the coast of Albania overland to Byzantium, where he would have crossed the straits, continuing across Anatolia via Ankara (Ancyra) and straight back to Armenia. He would not have passed through any part of Syria, so where would Matthew have seen his procession? I would be happy to continue the debate in my own or Clioaudio's comment section. Meanwhile, Happy Holidays to you all. 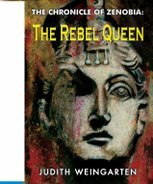 And remember, a copy of Chronicle of Zenobia: the Rebel Queen makes a splendid end-of-year gift for family and friends, and a great reading start to 2008! français 2810, folio 12, Ed. M.T Gousset. A couple of years ago, I saw a show on the about the Magi. Some of the logic between evidence and interpretation left me scratching my head, but there was an interesting approach using Persian astrology to show how a star could be associated with a king, &c. I have no background with which to evaluate the claims, but I found the approach from the Persian perspective to make a lot of sense. 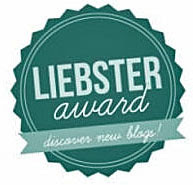 Another exemplary piece, I really cannot believe how wonderful your blog is. 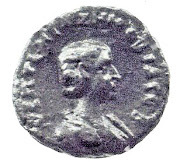 Marshdrifter, perhaps you are thinking about the stars on Persian coins showing the kings' image. I'd like to give this some more thought and get back to you after Christmas -- when we'll have more time! "I, Emperor Shapur, king of kings, partner of the stars, brother of the sun and moon ....". "...king of kings, master of those who have power, lord of peoples, prince of peace, savior of men, good and eternal man among gods, most powerful god among men, most honored, victorious, ascended with the sun and companion of the stars." The same idea might be expressed in the 'coat of arms' -- crescent plus star or dot -- that often appears on royal crowns (sometimes visible on coins). As a latecomer to this discussion, I've little to add, but I did want to question the idea that there was no way the author of Matthew (or the ancients in general) could have confused a star and a comet. Just recently, Comet 17P/Holmes, a usually invisible short-period comet that was first discovered in 1892, flared into visibility for the first time in decades. The cause was probably outgassing caused by the comet's expansion as it approached the Sun; suddenly, there was a lot of nearby particulate matter to reflect light. The comet brightened by about 15 orders of magnitude in just a few hours in late October. What people saw could easily have been taken for a star, as it lacked the typical comet's tail. A modest tail formed from the new debris as the weeks went on, but for quite a while, 17P/Holmes was a bright, nebulous round thing in the sky. In the absence of modern light pollution, a similar comet would have been even more prominent. So maybe the Star of Bethlehem was a dormant comet that suddenly and temporarily regained its brilliance. Wildly speculative, sure, but not wholly implausible. 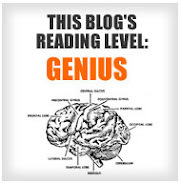 This is a wonderful blog, Judith. I'm so glad you visited mine and introduced yourself, as it were. I may never have found you otherwise--and it's not as though I haven't looked around for good, intelligent writing. I hope to learn a lot from you. Kind regards. What about Michael Molnar's coin hypothesis? I was not aware of Michael Molnar's coin but, no, I'm afraid not. Crank stuff.